Could you give me a bit of background about how this all got started? This all started about 2 years and 1600 hrs ago. I was working in Fredericton at the time and my wife had a Paint Your Own Pottery Shop in Woodstock. She was travelling back and forth and I had an opportunity to take a job at McCains in Florenceville. So we moved her business from Woodstock to Florenceville and moved ourselves as well, to eliminate travelling. I grew up in this area and when I was in grade 9 I was actually a member in the Shogomoc Historical and Model Railroad Club. This club was the club that got the cars into Bristol and started work on restoring them. After graduation from high school, I always had a thought that when I did move back I would like to have a business in one of those cars. So as soon as we moved back to the area I approached the Town and pitched my idea. During my time away the club had turned over the cars to the Town, and Fresh (ed. a gourmet restaurant in the area) had opened up as well. I have been home brewing for about 10 years and love all things craft beer related. I really started getting into pairings and started hosting tastings of my own. I am currently working on my Cicerone certification and am always offering to do tastings and pairings here locally. What steps have you been taking to get everything started? Do you have any partners involved with Railcar Brewing? Right now it’s just myself involved in the brewery, although I am entertaining taking a partner on. I have been building up gear over the last two years in preparation of opening. So far I have been doing everything out of pocket and am looking at about $15,000 more in equipment costs to start up. One of the first things we did was come up with the name and logo and get our merchandise (hats, shirts, hoodies, glasses) made and have been selling that and reinvesting the monies right back into the business. Tell me a bit about Rail Car Brewing’s initial beers. Are you planning on concentrating on a particular style, or styles of beer? We will be offering three main lines year round. Shogomoc Stout, Boxcar Blonde and Railcar 3 Red. Also, we will have a 50 L batch monthly, called an “Off The Rail Ale”. So a pumpkin ale, blackberry mango wheat, ginseg tea wheat, etc. Something different to pique the taste buds. What type of brewing system do you plan on using initially? How do you plan on distributing your beers? We will be using an all-electric 50 L Braumeister system with six 60 Gallon fermenter tanks to launch with. We plan on “brewing small and selling it all”. At first we will just offer Growler and keg sales direct from the brewery as well as having local accounts featuring our ales. I have asked lots of questions of local breweries and this brewing community is so helpful. I have also used Facebook a ton to talk to other startups all over North America and England. 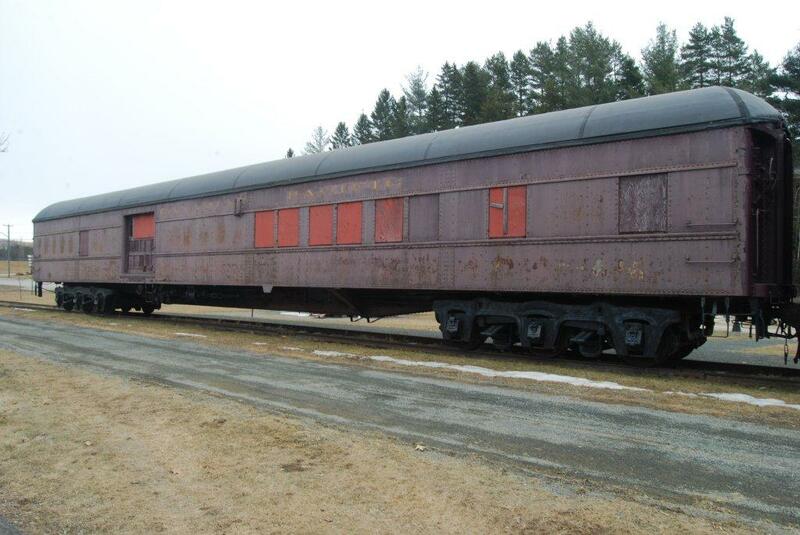 What will make Railcar Brewing different from other breweries in New Brunswick? We also intend to try and recyle waste water for the Town to use for watering flower beds, offering our spent grains to farmers, and composting our hops. Green is very important to us so we will source locally as much as possible. Any plans on having a tasting room at the beginning? 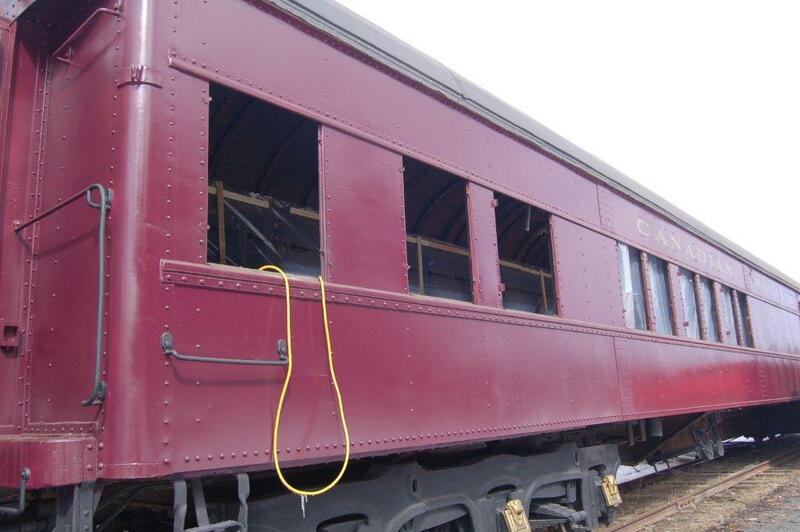 There will be a tasting room in the rail car with our merchandise area. Do you personally have a favorite beer style? Brewery? Beer? Any hobbies outside of brewing? My personal favorite beers are stouts and dark ales. Picaroons and Garrison have been my favorite breweries for years. Winter Warmer from Pics and the aged Fog Burner from Garrison. I am a big history buff as well, and have one published book entitled, “New Brunswick Historical Tidbits”. I wouldn’t say any one person. I have read a ton of books and talked to a lot of people and have learned a lot from trial and error over the years. With your history of homebrewing, do you have a favorite beer to brew? I have to say my favorite beer to make is my PDA, pumpkin dark ale. Love using the spices (nutmeg and cinnamon) and the fresh pumpkin. The taste got me interested, the taste is so much better then mass-produced beer, and the variations in style from one brewery to another is awesome. Check out Mitch’s progress with his brewery on his Facebook site. Also, visit Railcar Brewing’s website (currently being updated) for some more information on their beers and pictures of their equipment. On the website, there is also the option to donate to assist in the final push for brewing equipment. Donate $30, and Mitch will mail a Railcar Brewing t-shirt to you! If there’s anyone in Mitch’s area who would like to participate in his beer tastings, he has a separate Facebook page called Biggar Beer that you can use to contact him, or send an email to him directly at mitch@railcarbrewing.com. 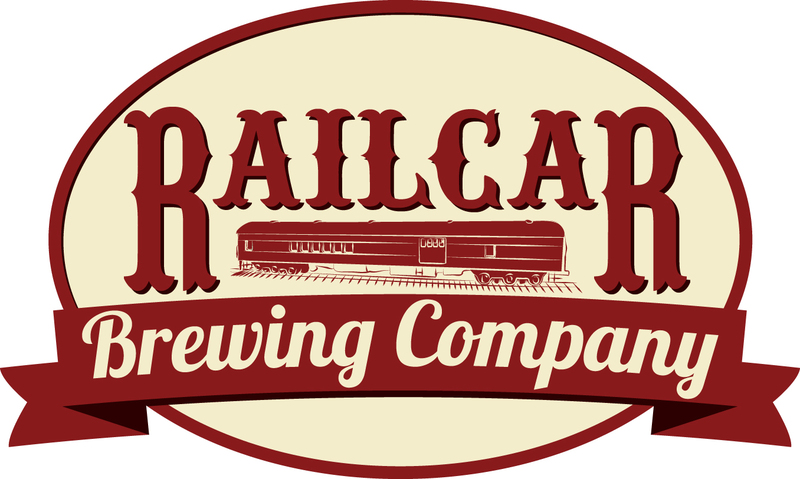 We’re really looking forward to tasting the first beers from Railcar Brewing. It’s great to see another brewery opening up here in New Brunswick! 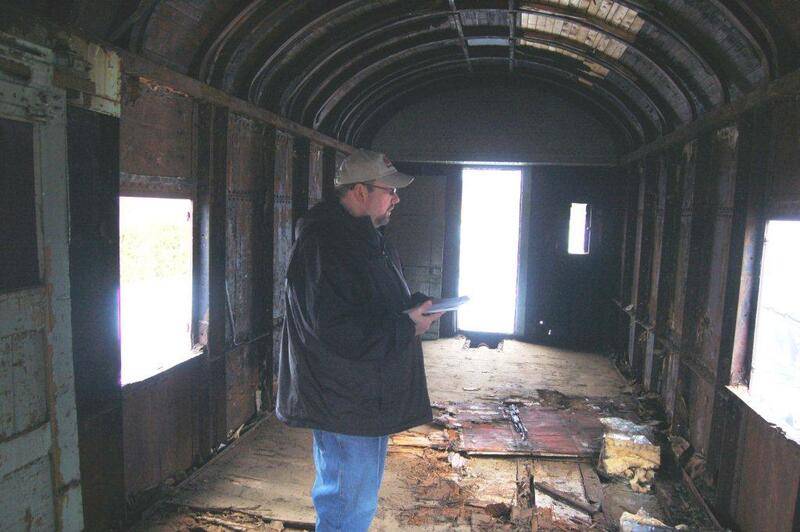 Mitch surveying the future brewery site.